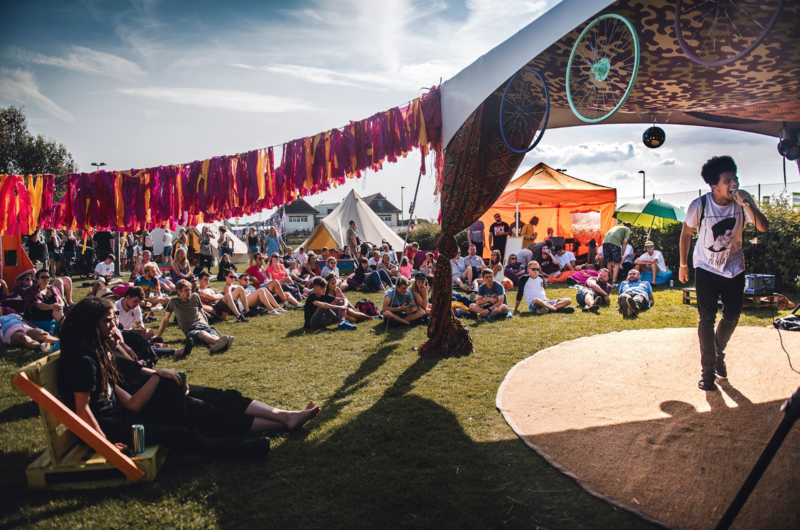 BIMM will sponsor the iconic World Music Village stage, hosted by the Arms Around The Child charity, at this year’s Victorious Festival in Portsmouth, which takes place from Friday 24 to Sunday 26 August. The award-winning college’s Promotions & Festival Manager, Suzi Ireland, recently confirmed the news with a line-up that includes the hotly-tipped Brighton band FUR, who will play the festival’s main stage alongside The Libertines, Paul Weller, The Prodigy and many more top UK acts. BIMM’s sponsorship of Victorious Festival will also see the college welcome several rising BIMM acts, who will also be given a chance to play across the three-day event. They include Dottie, Civil, Tilda Allie, Scott Booth, Lebeaux,The Yellow Bellies and La Lune, who each hail from BIMM London and BIMM Brighton. As part of BIMM’s commitment to providing hands-on experience to its students at major festivals and events, BIMM will invite a group of students to put their skills in practice by volunteering backstage in various exciting roles.